Navratri is celebrated by all communities and by all age groups in all cities in India. It is celebrated with much hype in Kolkata, Ahmedabad, Mysore and in northern parts of India. This festival is celebrated in the name of goddess Durga. 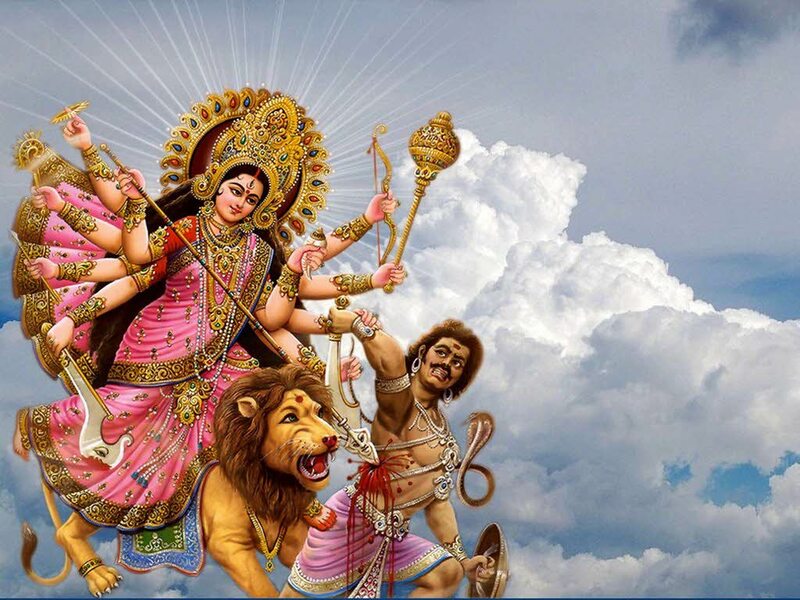 It is believed that goddess Durga will remove all the miseries of the life and protects from the evil. Goddess Durga is also known as Kaali, Bhavani, Amba, Gauri, Parvathi, Katyayani and Siddhidatri. This auspicious festival falls in the month of September or October. Navratri is celebrated for nine days signifying nine forms of Durga. People offer prayers and special pooja each day. The day followed by these nine days is called as Dussehra. People will install huge idols of Durga in the homes and streets and decorate them with flowers. Cultural activities are held at nights on these nine days. Pooja and prayers are offered for ten days and on the last day the idols are paraded in the streets and immersed in the water. People enjoy this by dancing and playing music. It is believed that Goddess Durga won the battle against the demon Mahisasura after the rigorous fight for nine days and nights. And so the festival is dedicated to goddess Durga, the mother god of power. The fasting undertaken during these nine days are considered as healthy. This will help to detoxify and clean up your body. As per the tradition and culture it is the best time of the year to offer the prayers. According to ayurveda, the fasting during this time brings health benefits. It is also known as a festival of knowledge. The last three days of Navratri is dedicated to Saraswathi, goddess of knowledge. Navratri is also celebrated for the victory of Rama over Ravana. On the day of Dussehra people burn the effigy of Ravana to express their happiness. For kshatriyas, Navratri is the new-year. On this day they offer prayers to various weapons and vow in front them to fight for justice in the society. In Tirupathi, Navratri is celebrated as Brahma Mahotsav and lord Srinivasa is paraded in the streets of the town. Mysore: Tourists from all around the world visits Mysore during Dussehra to enjoy the religious and cultural programmes conducted in the Mysore palace. The main attraction of the event is the procession of goddess chamundeswari on top of an elephant. Kolkata: One can hear the reverberating music everywhere in the city. Durga pooja is celebrated in a grand manner in Kolkata and the other parts of Bengal. To know the tradition of the festival, people from different parts of India and the world visit Kolkata. Along with these places Kullu, Hampi, Delhi and Bastar are the most visited places during Dussehra.